Kara Swisher, who is apparently very famous in certain circles, gave a fascinating talk about work and life, in the context of having recently suffered a stroke while on a business trip in Hong Kong. If you want to maintain some semblance of a life, make sure you don’t become too indispensable. I’ve been mulling over this idea of being “indispensable” since yesterday, and I’ll share with you what I’ve realized. Isn’t It Good to Be Indispensable? Arguably, being indispensable is a good thing. Isn’t that what all the career coaches say? There’s some truth to this idea, but only in a particular context. You should only aim to become indispensable if your work is directed towards something you really care about. If your work is fundamentally pointless (which, I’m sorry, but much BigLaw associate work is), becoming indispensable will ruin your life. Why? Because you’ll be forced to devote more and more time, under increasing pressure, to something that ultimately doesn’t matter at all, and which you’re uniquely capable of doing. Do you want to be the only person who knows how to operate the copier? Or make the office coffee? I don’t think so. I know you want to do a good job and make yourself useful — to be indispensable. Firms know that, too. If there’s one personality trait that most young lawyers share, it’s people pleasing. By and large, new lawyers have gotten where they are by consistently pleasing authority figures (teachers, parents, bosses, etc.). You don’t get to law school, after all, without solid grades and recommendations. How do you get those? By being the teacher’s pet. There’s nothing wrong with pleasing your teachers and getting good grades as a result, except that this tendency is mercilessly exploited by law firms, to your detriment. Let’s start with the idea that you have some reasonable chance of eventually becoming a partner. Hopefully I’m not the first person to tell you this, but there’s very little chance that you’re going to be a partner in the law firm you start at as an associate. As in, basically no chance. If you’re female, it’s even less likely. So why behave as if it’s going to happen? There’s an interesting book, called The Tournament of Lawyers, which describes how American law firms gradually transformed into what they are today: a race to win “the promotion-to-partner tournament.” Essentially, a law firm is seen as a game, where you work really hard and are eventually rewarded with a carrot — partnership. To stay on track, you’ve got to do all the right things: work hard, play politics, develop a unique skill set. In short, become indispensable. That’s all well and good, as long as the firms hold up their end of the bargain. However, particularly for women, I’d argue quite vehemently that they don’t. Even if you work really hard, for a very long time, at the expense of everything else in your life, odds are you still aren’t going to be a partner. 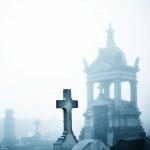 You might think you’re indispensable, but you’re going to end up in the graveyard. Say you accept that making partner is highly unlikely, or something you don’t aspire to. It’s still easy to get sucked in to the indispensability trap. No one wants to feel like they’re doing a crappy job at something, so most young associates work hard to get things right. Before you know it, you’re the only one who can do certain tasks, or who knows certain things about a case or deal. Congratulations, you’ve just set yourself up for lots of frantic middle-of-the-night calls, demanding that you drop whatever you’re doing and come deal with a situation that only you can handle. The more things only you can handle, the more of these calls you’re going to get. And, frankly, the more the firm is going to control your life. And the more miserable you’re going to eventually become. For most people I know, the hardest part of working for a law firm isn’t the work, or even the hours. It’s the reality that someone else owns your time. My doctor friends are amazed at the fact that a law firm associate is continuously “on call.” There’s no break, no time when you’re not potentially required to be working. The more indispensable you make yourself, the more the firm’s going to depend on you. So be careful about becoming too indispensable! Or check out Summer Jobs 101 and find out everything you ever wanted to know about getting a summer associate position. Sign up for our weekly newsletter, if you like, and get all the latest stuff hot off the press! Have BigLaw stories of your own? Leave them in the comments! Image by dimitri_c via stock.xchng. Interesting topic. There’s a good kind of indispensability — being the best at something — and the bad kind of indispensability — being the go-to doormat. P.S. I had to laugh about the way you described tech journalist Kara Swisher. Kind of like describing Judge Posner as apparently very famous in certain circles. Yeah, I was mostly making fun of myself with the Kara comment. She looked vaguely familiar to me, but it was obvious from other reactions that she was a total rockstar, and I was an idiot for not knowing that! I struggle with this indispensability idea. It’s a good thing if what you’re working on matters, but it’ll destroy your life if that’s not true. Interesting to think about, in any case! And, ultimately her point was that she wasn’t going to “slow down” and work less, which was the advice everyone gave her post-stroke. She said she likes her job, and it enriches her life, and she wants to keep doing it – even if it’s really time consuming.